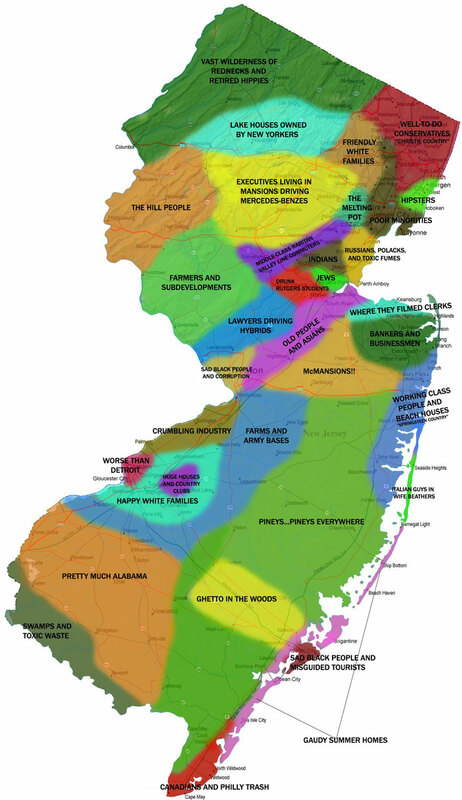 Home • News • Everything Else • Anyone Out There From Jersey? If you are, take a look at this map and tell me it’s not spot on. It elicits a strange feeling in me that is equal parts pride and sadness. I image it to be the same feeling my Dad gets whenever I come home for the weekend.